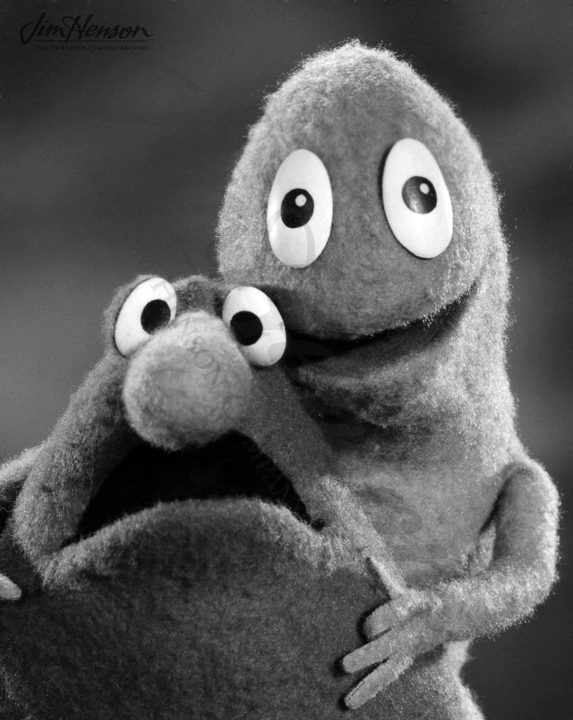 Wilkins (right), and Wontkins (left). 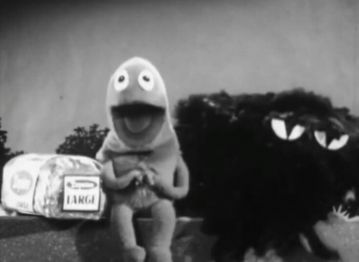 In 1957, puppeteer Jim Henson was asked by a Washington D.C. coffee company, Wilkins Coffee, to make commercials for their company. The company only had 10 seconds of screen time, so the ads had to be lightning-speed fast. 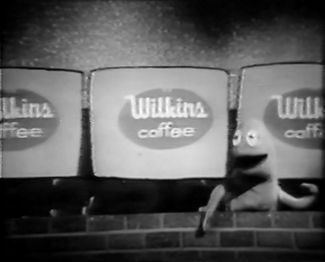 From 1957 to 1961, Jim Henson created 179 ads for Wilkins Coffee, all of which revolve around the titular characters of Wilkins and Wontkins. 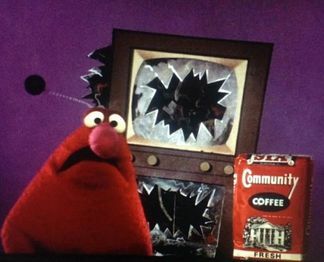 In each commercial, Wilkins attempts to promote Wilkins Coffee to Wontkins, who states his distaste for the product before experiencing various slapstick misfortunes-- more often than not by Wilkins's hand-- for his opinion. 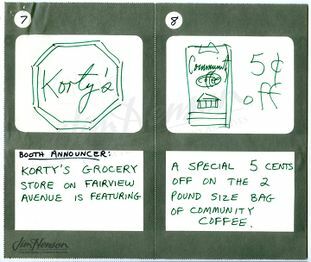 The popularity of these ads sparked Wilkins and Wontkins to appear in commercials for various companies (Community Coffee, Red Diamond Coffee, Faygo, etc.). 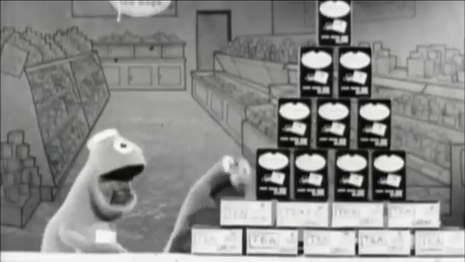 The various Wilkins and Wontkins commercials were initially produced in black and white before shifting to color in 1966. 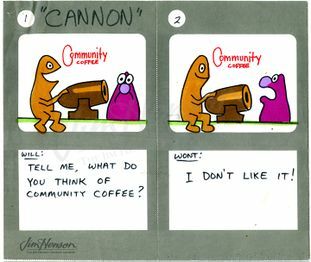 The last known Wilkins and Wontkins commercials made were for Community Coffee, made around 1969. Companies that Wilkins and Wontkins promoted. 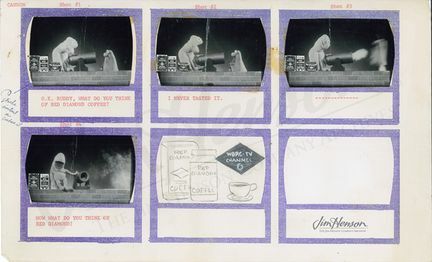 Out of the 179 Wilkins Coffee commercials, only 100 have been released on the internet. 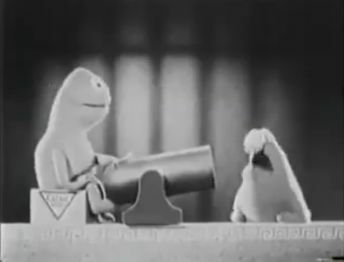 It is unknown how many of these commercials Jim Henson made, let alone how many ads The Jim Henson Company has stored in their archives. 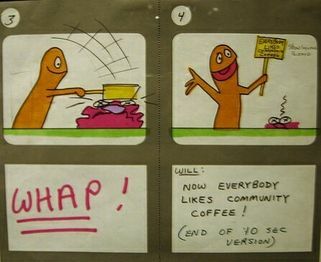 A compilation of many Wilkins Coffee ads. 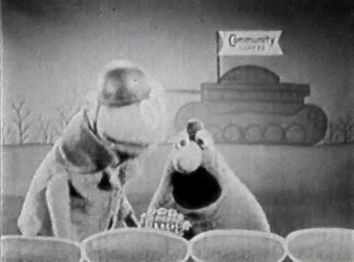 Red Diamond Coffee commercials featuring Wilkins and Wontkins. 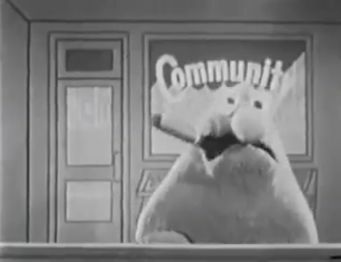 A compilation of various commercials featuring Wilkins and Wontkins. 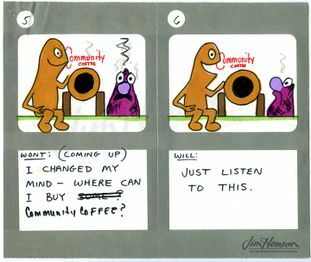 Wilkins Coffee ad from Jim Henson documentary. A compilation of outtakes featuring an unknown Wilkins Coffee ad. 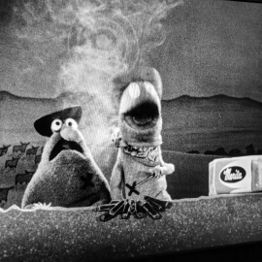 A collection of commercials from the Jim Henson exhibition, recorded by a user named Jack Ryan Rice. 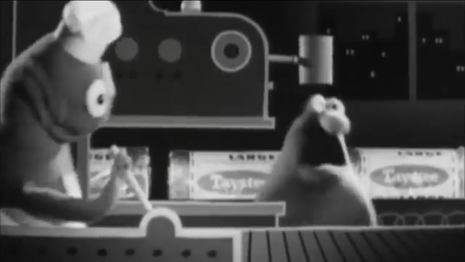 Incomplete footage of the "Trainload" ad, found from a news report of Jim Henson's death. 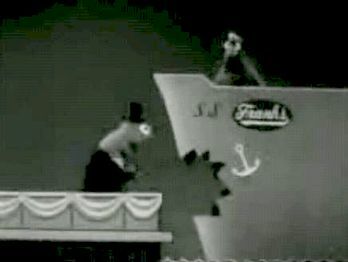 Almost complete footage of the Frank's "Ship" ad. A handful of clips of the "Cannon" commercial for Merita, Frank's, Nash's and Taystee. Wilkins and Wontkins commercials that can only be found in images. 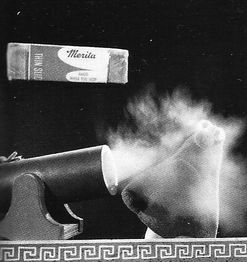 Unknown remake of Brand X ad. 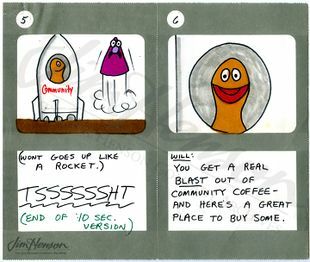 Partial storyboard for Community Coffee ad, "Everybody Likes Community Coffee". National City Bank - "Cannon"
Commercials that are completely lost. Nash's Coffee - Communist Store. The Wilkins version can easily be found but the Nash's one is lost. Wilkins Coffee - Survey. Completely lost but the transcript is found. Wilkins: Next question, what do you think of Wilkins Coffee? Wontkins: It's wonderful, delicious! 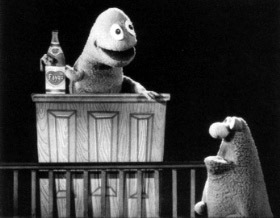 Wilkins: You see, friends- Wontkins: Now give me the 10 bucks! Wilkins Coffee - Traffic Court. Again, only the transcript can be found. TRANSCRIPT: Wilkins: "Why were you speeding?" 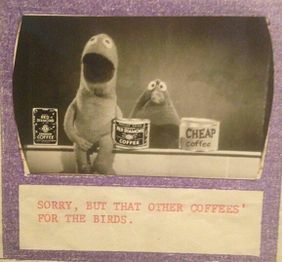 Wontkins: "I wanted a cup of coffee!" 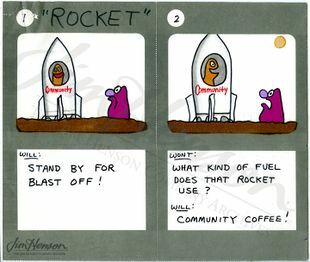 Wilkins: "Wilkins Coffee?" Wontkins: "No, just any old kind! (A rattle of keys as a prison door slams on Wontkins' face.) 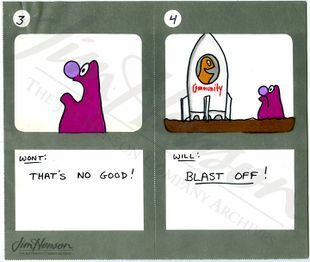 Wontkins: "Next time, I’ll say Wilkins!" There's some rare commercials playing in some places. 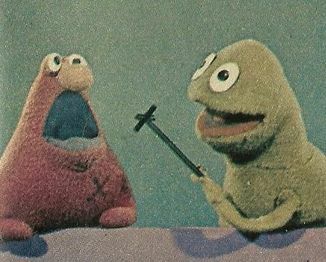 Like for example, The Center for Puppetry Arts, and the Jim Henson exhibition, Imagination Unlimited. They can be found in those places, but has yet to surface online. Few of them surfaced recently. 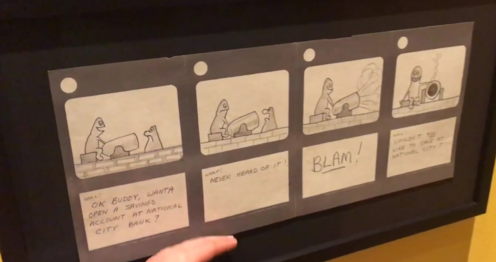 Compilation featuring a newly discovered Wilkins Coffee commercial. 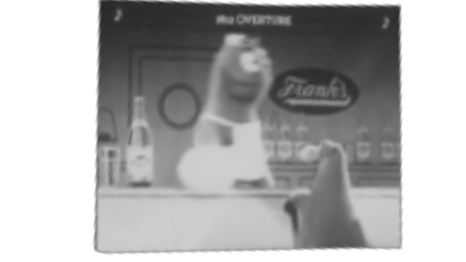 A MEGA folder containing all known commercials (as of July 2018).